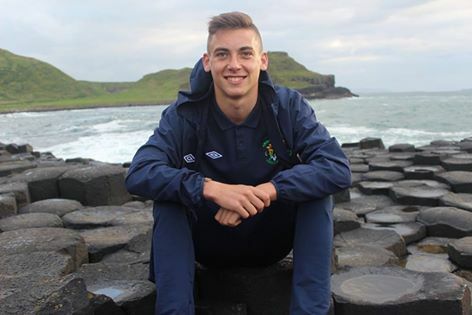 Congratulations to Warren O'Hora who has just signed for Bohemian fc first team. Warren started out with the NDSL while playing for Dingle Utd at U11. Since then Warren has represented the NDSL Academy in the UK, Kennedy Cup, Foyle Cup and Milk Cup while playing for Ashbourne Utd. On behalf of everyone at the NDSL we would like to congradulate Warren and wish him all the best in the future. "Thank you and the NDSL for last season, It's extremely well ran and wish other leagues would take not of how well ran it is. Thank you for all your help, the lads thoroughly enjoyed it." Congratulations to NDSL Under 12 Academy squad who won the Craigavon Cup beating Derry City in the final. Congratulations to the Under 15 NDSL Academy who beat Donegal in the SFAI inter league semi-finals competition. They will now play Limerick Desmond in Tipperary on 22nd May. Best of luck to all the lads!